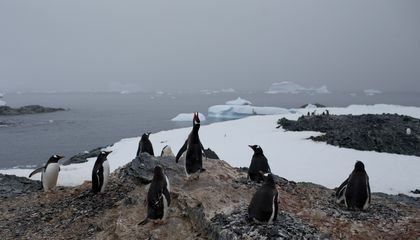 Warmer air, less frigid water and gravity may combine to make parts of Antarctica's western ice sheet melt far faster than scientists had thought. Sea levels could rise much more than expected. It all could happen by the end of the century. This is according to a study. The results of new physics-based computer simulations have been released. They forecast dramatic increases in melting. It could occur in the vulnerable western edge of Antarctica. The huge land mass at the southern end of the Earth is a continent. In a worst-case scenario, that could raise sea level in 2100 by 18 to 34 inches. That is much more than an international panel of climate scientists predicted. They made that prediction just three years ago. Countries of the world pledged to control heat-trapping gases at the moderate levels in Paris last year. It still would mean three to 12 inches higher seas than have been forecast. This is according to a study. It was published March 30 in the journal Nature. By the year 2500, in the worst-case scenario, the simulations predict seas 42 feet higher. The increase would come purely from Antarctic melt. "You're remapping the way the planet looks from space with those numbers," said study lead author Robert DeConto. He is a climate scientist. He teaches at the University of Massachusetts. Melting in Antarctica is one of the biggest wild cards. Scientists are trying to assess the effects of man-made climate change. Scientists were caught by surprise when the western portion of the continent started showing signs of rapid ice loss. It has been found in the last 10 years or so. The United Nations' Intergovernmental Panel on Climate Change has not forecast much sea level rise from Antarctica. Its last report predicted just seven inches by 2100. For this century, the panel saw water expanding from heat, glacier melt and Greenland ice sheet loss as the bigger factors. Instead of 7 inches, DeConto's simulations forecast sea level rise from Antarctica's melt alone as 2 to 3 feet. That is the worst-case scenario. The estimate is 10 to 19 inches if greenhouse gas emissions are moderately controlled. And if the world cracks down more dramatically on heat-trapping gases, Antarctica would essentially not add anything to sea level rise. This is according to the study. Those figures are just worldwide averages. In many places on the East Coast, like Boston, it could be 25 percent more. That's because of geological conditions, DeConto said. 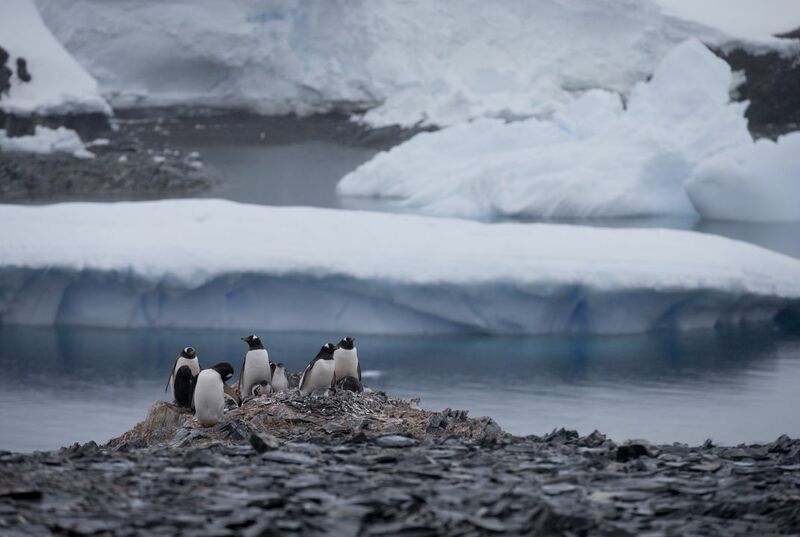 "North America has a lot to fear from ice loss from West Antarctica." That is where it all begins, DeConto said. Other studies have looked at the effect of warming from water below ice sheets and the air that melts from above. But DeConto includes the effect of pooling water and giant ice cliffs. Those ice cliffs can be dozens and even hundreds of feet high. They can collapse from the sheer weight of ice. That hastens glacier and ice sheet retreat, DeConto said. Ted Scambos at the University of Colorado, who wasn't part of the new study, said it was plausible. He said the study used "a few simple yet under-appreciated factors regarding ice retreat." Carnegie Institute climate scientist Chris Field said the study drives home the difference the world can make by controlling its greenhouse gas emissions. It's the difference between rising seas that can be managed and conditions that are "dangerously risky," he said. This such tragedies starting to consume our planet one by one is showing more signs of attacking. From the earthquakes to the rise in sea level. Man-made climate change cannot happen without the items the earth provides. Antarctica is "one of the biggest wildcards" because it is dangerous there with many snow storms and nose biting temperatures. There are a lost of risks going to Antarctica. In the article is said that ice cliffs as tall as ten feet high can fall at the sheer weight of ice. What does that mean if a mundane walks on it. The ice cliff would either trap you inside or kill you. I think Antarctica is one of the biggest wildcards because it has huge glaciers and a glacier is made of ice that when it is melted it turns into water after time. Antarctica is one of the biggest wildcards because Antarctica is starting to melt.If Antarctica melt then the sea level will rise and if it do then north america is in danger.For example it says "North America has a lot to fear from ice loss from West Antarctica.That is where it all begins, DeConto said." I think this could be a huge problem for both animals and the people who live in Antarctica. I truly hope this issue is resolved soon. This is not good for Antarctica and us. This looks very dangerous, I probably won't be alive then but I am worried for my children. We might not have seaside, or any coast. It is amazing how much can change so fast. People still maintain that Global Warming doesn't exist. However, I think things like this prove that it does exists. There has to be a reason for why the ice is melting so fast. Antarctica is "one of the biggest wildcards" because of how much it is understudied or under appreciated, for a lack of better words. No one really lives in Antarctica in comparison to North or South America. The only reason scientists began to study is for climate reasons. Antarctica is practically 100% ice so it keeps much of the water, in the form of solid ice, in the southern part of the Earth.